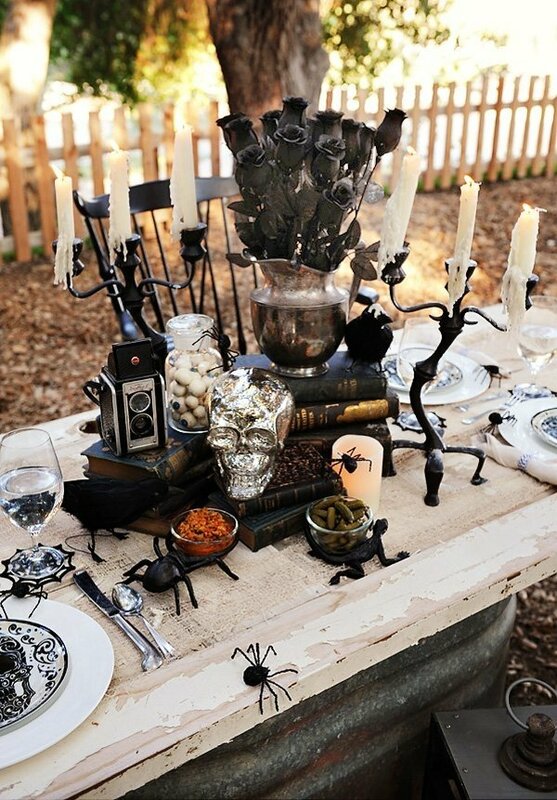 With only a few days left until the first of October, we can’t stop thinking about all the fun aspects of a Halloween party. 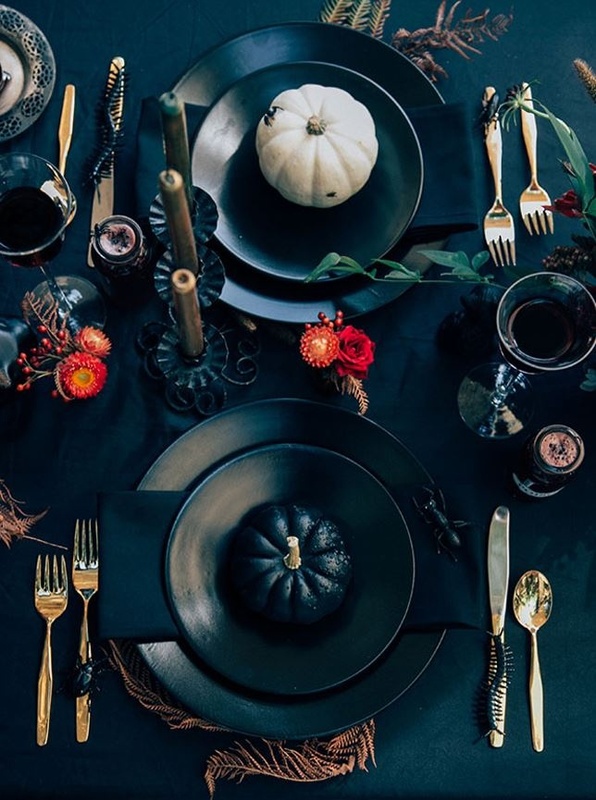 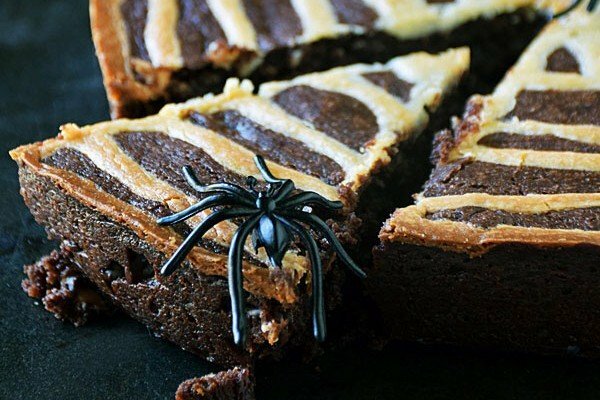 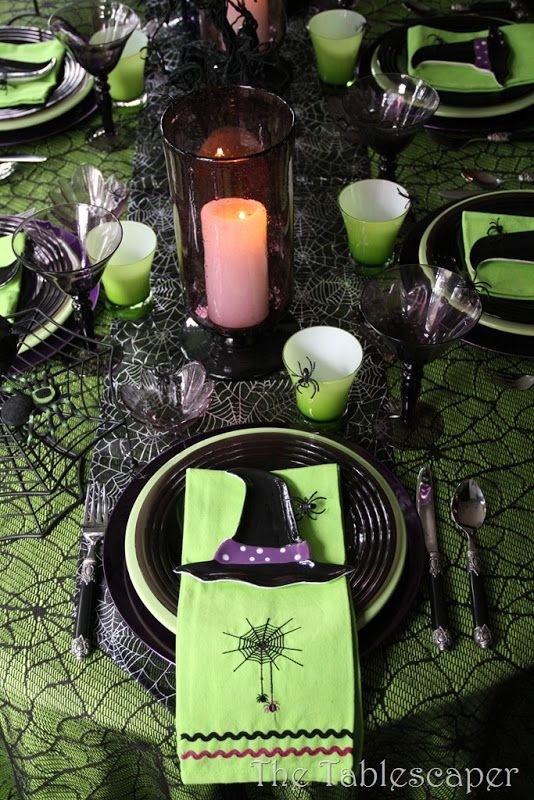 And with our new collection of Halloween party tableware, we’ve especially been thinking about how to create a variety of spooky and fun Halloween tabletops. 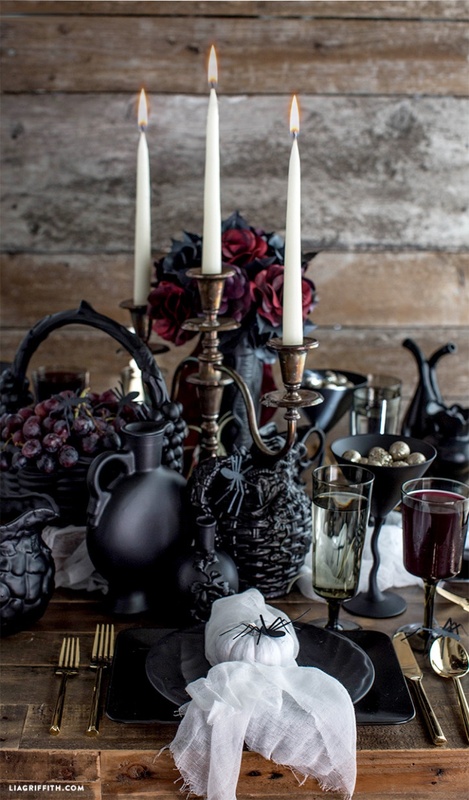 There are plenty of looks to choose from. 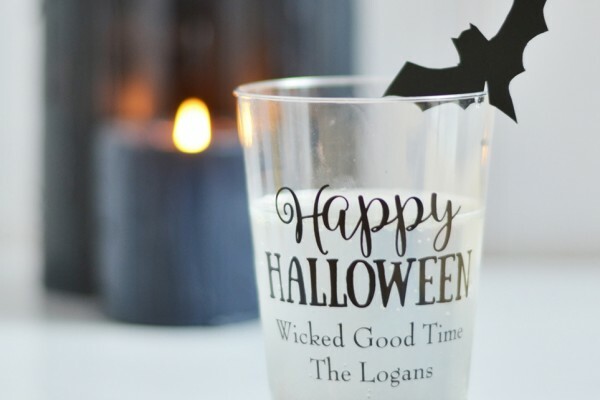 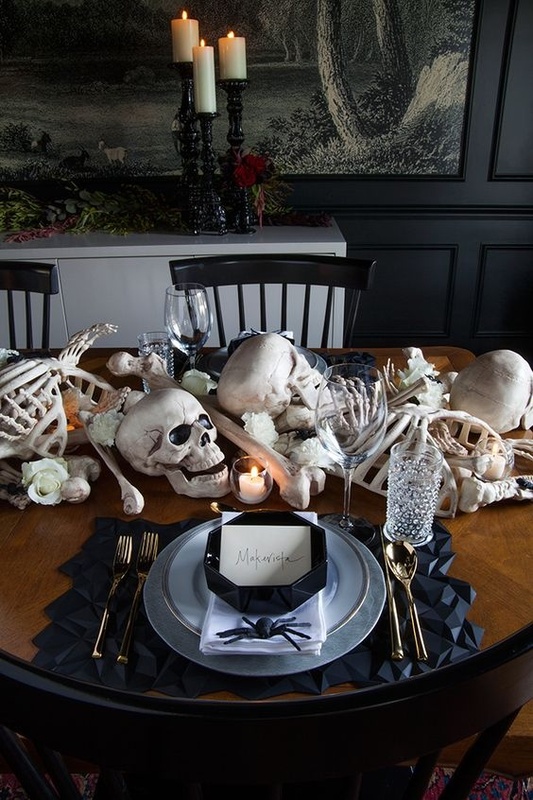 Want your table to be extra spooky? 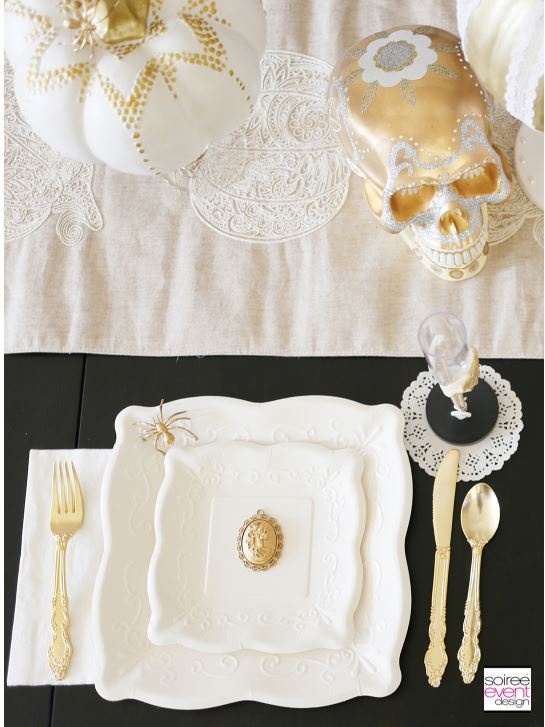 We suggest opting for black and white decor with skulls, spiders,”dead” plants and a Victorian touch. 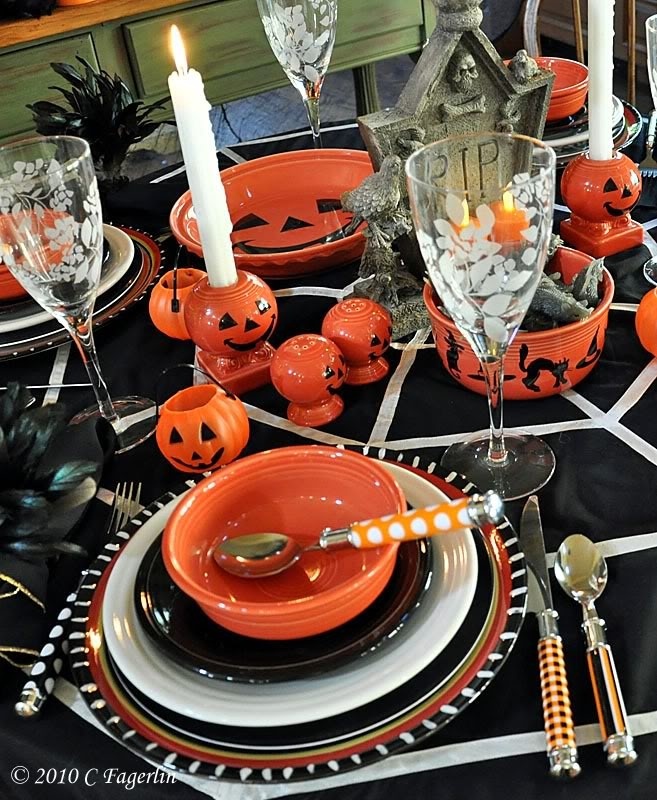 If you’re looking for something a little more fun, try traditional black and orange decor or even green and purple! 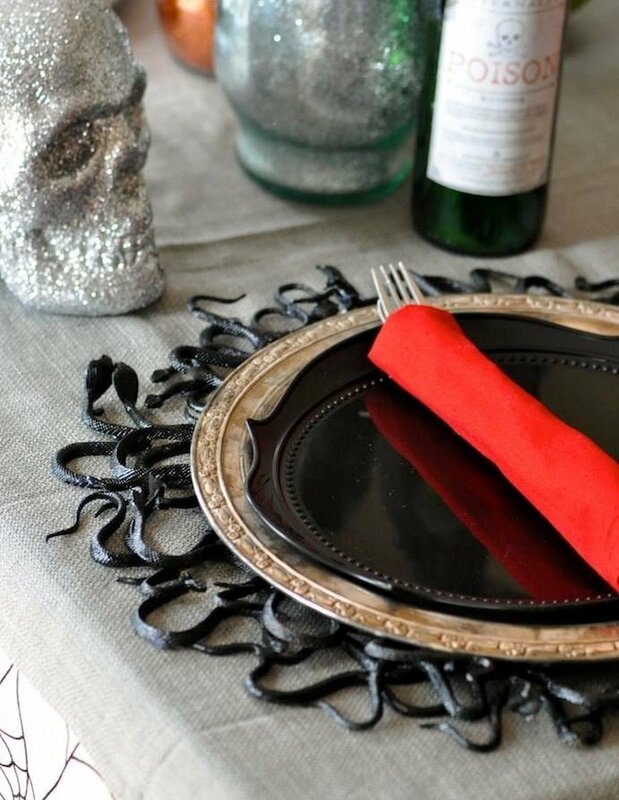 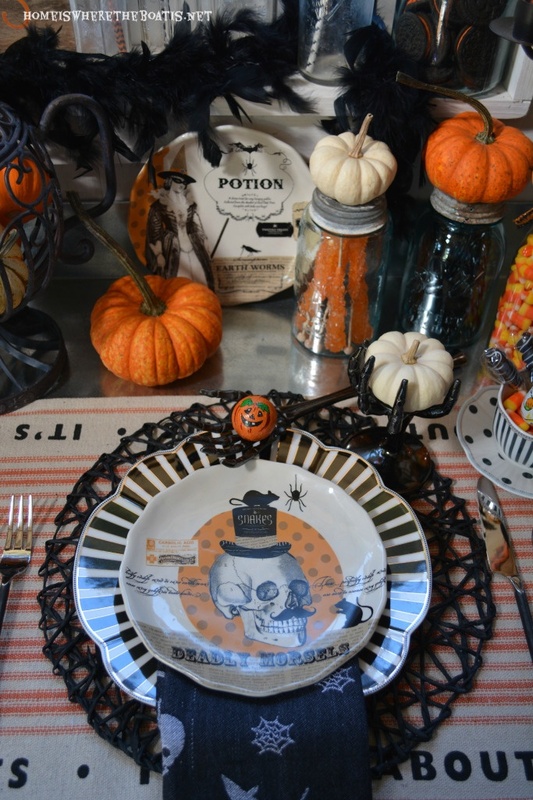 Check out 13 of our favorite Halloween tabletops below, and don’t forget to check out our fun Halloween gear too. 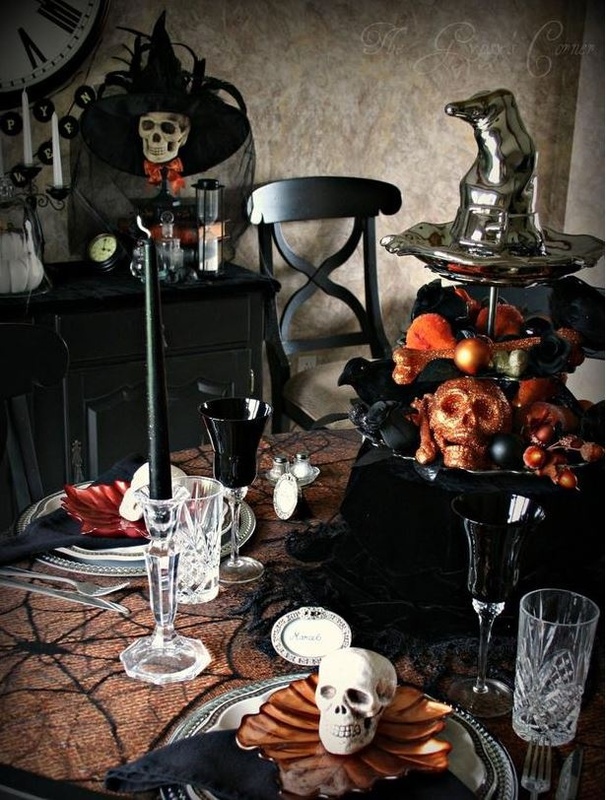 What’s your favorite look for Halloween? 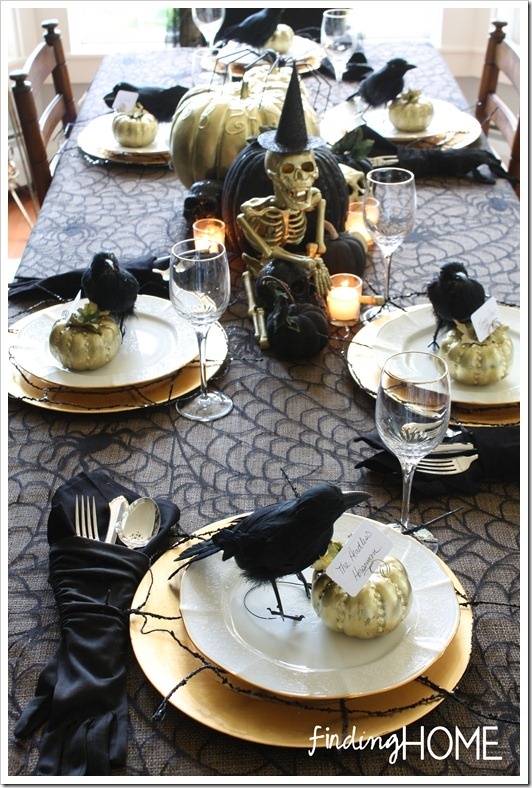 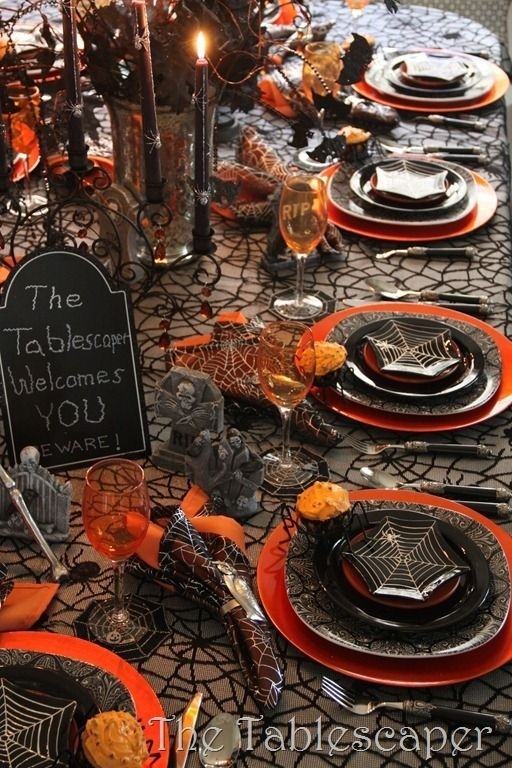 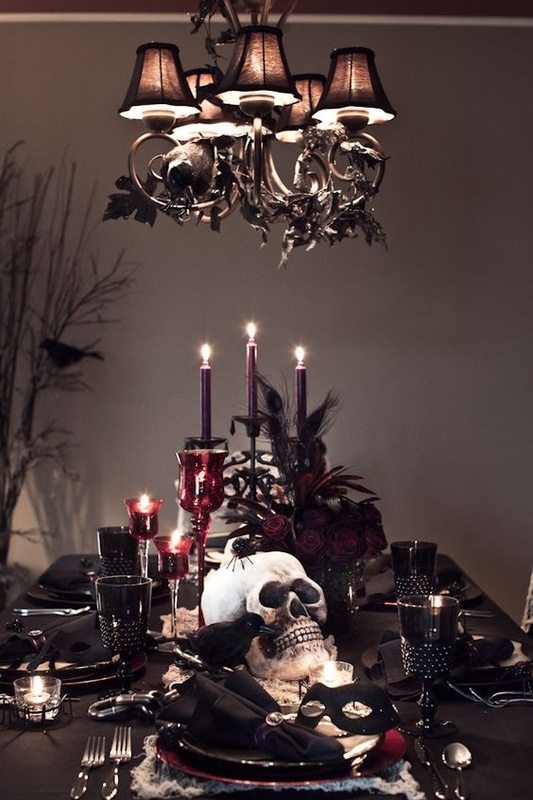 Would you go spooky or fun with your table?